Kroll & Johnson, PC was founded on protecting client’s interests. During a divorce, in Washington County or any other county in Oregon, a major item relating to divorces involving children includes the decision of custody. In Oregon, the court can only award joint custody if the parties agree to it. If the parties are not able to agree who should be awarded custody, the court will need to make a decision on custody. From the start of the case, the attorneys at Kroll & Johnson, PC assist in understanding client’s goals and creating a plan to assist in meeting those goals. Custody is regulated by ORS 107.137. 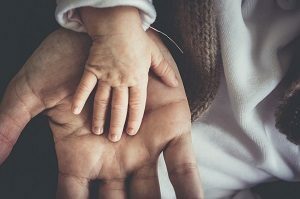 Custody means the ability to make major decision regarding the child, including, but not limited to the child’s religious and educational training, health care and major medical decision, and where the child while live. Willingness and ability of each parent to facilitate and encourage a close and continuing relationship between the other parent and the child. In making these determinations, the court must consider the best interest and welfare of the child. At Kroll & Johnson, PC, the family law attorneys thoroughly understand the legal aspects of the custody determination and work diligently to prepare for and assist our clients through a custody matter. We understand there are times and reasons for taking a custody matter to trial and as trial attorneys focus on being prepared for each step of the case. An award of joint custody depends greatly on the party’s ability to make decisions together that will impact how the child or children are cared for and raised despite having two separate homes. However, the court does not have the authority to require parties to have joint custody. In other words, the court cannot make two parties participate in joint custody. Rather, the court can only award joint custody if two parties agree to it. This award will only last as long as the parties continue to agree to joint custody. The Hillsboro, Oregon child custody. If you have questions about your case and want to learn more about how the child custody attorneys and divorce lawyers at Kroll & Johnson, PC can assist with your case, call to schedule a consultation today. To speak with an experienced family law or divorce attorney today, please contact the Hillsboro, Oregon family, divorce, and child custody attorneys at Kroll Johnson, PC by calling (971) 205-3266 to schedule a consultation.